Hong Kong: ArcelorMittal, the world’s largest steel maker, agreed to take over China Oriental Group Co. Ltd to gain a foothold in the fastest growing steel market, valuing the company at a minimum of $2.4 billion (Rs9,456 crore). Stock in the takeover target surged the most in 45 months. ArcelorMittal, which holds 28% of Hong Kong-listed China Oriental, offered at least 6.355 Hong Kong dollars (Rs31.78) a share for all the stock it doesn’t own, the Luxembourg-based company said on Thursday in a statement. That’s a 17.7% premium to the last traded price. 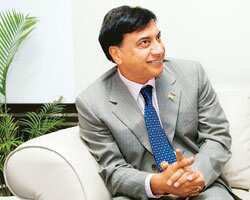 The takeover may allow chief executive officer Lakshmi Narayan Mittal to bypass laws barring overseas control of steel makers listed in mainland China. The Asian nation has accounted for 65% of global growth in steel production in the past 10 years, and is now nearly four times the size of the US steel industry. “Strengthening our position in the fast growing Chinese market is one of the important elements in ArcelorMittal’s strategy," Mittal said in a statement. Mittal plans to develop China Oriental into a leading maker of so-called heavy sections. China Oriental, which has its main plants in northern Hebei province and southern Guangdong province, controls closely held Hebei Jinxi Iron & Steel Co. Ltd, the nation’s 29th biggest steel maker, according to the company website. Hong Kong’s takeover panel on 6 December ordered ArcelorMittal to make a general offer for China Oriental, ruling it had worked with China Oriental chairman Han Jingyuan and his associates to buy the 28% stake from former board member Chen Ningning last month. The regulator said then that ArcelorMittal’s offer must at least match the HK$6.12 a share paid for Chen’s stake. “ArcelorMittal can use China Oriental as a platform to buy more assets, building up exposure in the mainland," Zhang said. “It can replicate this model to expand quickly in China by acquiring privately owned steel mills if the deal gets approval." China currently doesn’t have clear rules on overseas investments in non-state steel makers, he added. ArcelorMittal already holds about 29% stake in Hunan Valin Steel Tube and Wire Co. Ltd, which trades in Shenzhen, and has 12% of a Shanghai-based venture with Nippon Steel Corp. and Baoshan Iron & Steel Co. Ltd that supplies auto sheets. Mittal is also still waiting for approval for his 2006 accord to buy a 38% stake in state-owned Laiwu Steel Corp. after the Chinese government last year tightened scrutiny of acquisitions by overseas companies. Laiwu trades in Shanghai. On Thursday, ArcelorMittal said it agreed 9 November to buy from Han and his associates their 45% stake in China Oriental, starting with an acquisition at HK$6.12 a share that would raise ArcelorMittal’s holding to 50.1%. The acquisitions would begin 18 months after ArcelorMittal gains Chinese antitrust approval. The company on Thursday made a general offer to buy stock from all China Oriental shareholders for between HK$6.355 and HK$6.826 a share, which is based on the offer price to Han for his shares and the value of an option granted to him and his associates allowing them to force ArcelorMittal to buy some of their stock. ArcelorMittal expects to spend no more than HK$6 billion buying China Oriental shares under the general offer. “We view China as the key factor of growth and success of the steel industry," Ondra Otradovec, ArcelorMittal’s vice-president of mergers and acquisitions, told reporters at a briefing in Hong Kong on Thursday.